I'll save the savory introductions and get straight to brass tax. My week 5 heat map is used by many to identify which games you need to target for each position. 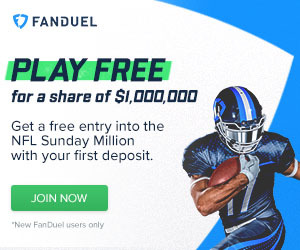 I've used this for years on Fanduel and Draftkings. Trim down your player pool based on my heat map and you'll have some pretty good odds. Good luck! Download to excel here - if you like this as a download let me know!